Holidays are wonderful occasions to get together with friends and folks. 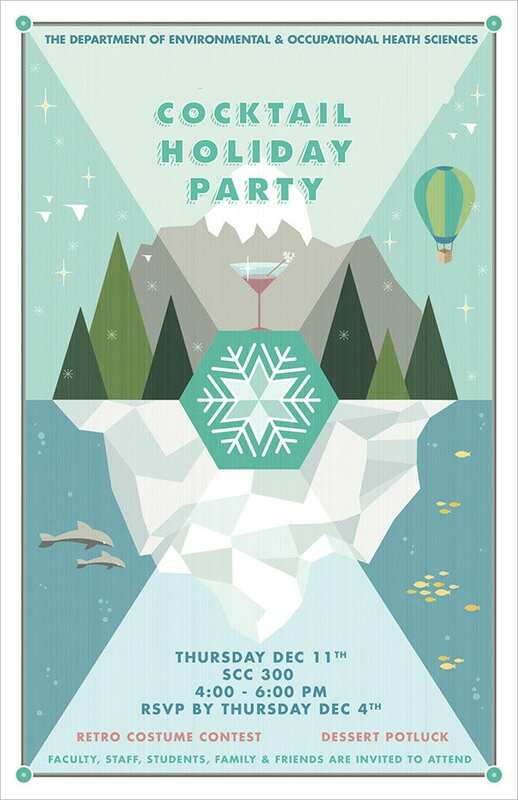 If you would like to celebrate this holiday season with your loved ones, a holiday party is a good idea. 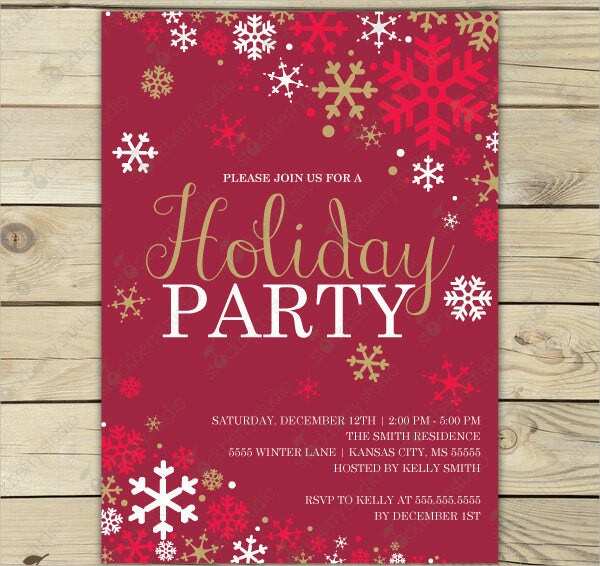 Send out holiday party invitations to spread the news that you have organized a party. 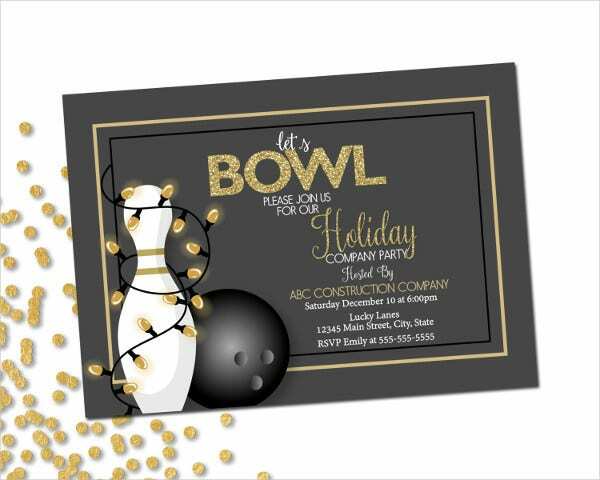 You will find that most of your invitees will want to utilize the opportunity to get together and enjoy this season of relaxation. 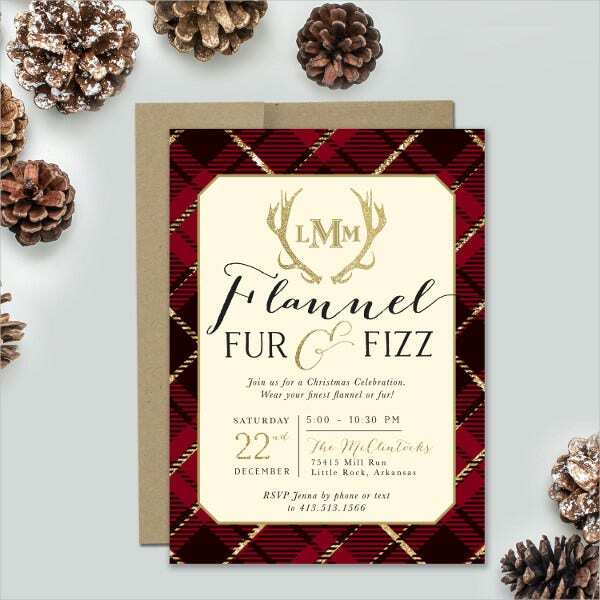 Here are a few Beautiful Holiday Invitation Templates for you. 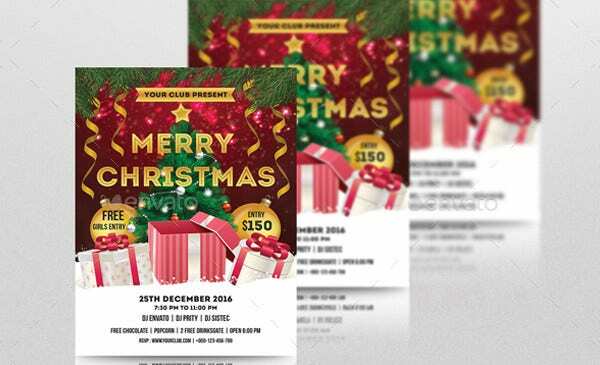 This holiday or Christmas Party Invitation flyer template costs $7. It is of 4×6 inches and 5X7 inches and includes 0.25 inches bleed. It features CMYK color mode and 300 dpi resolutions. 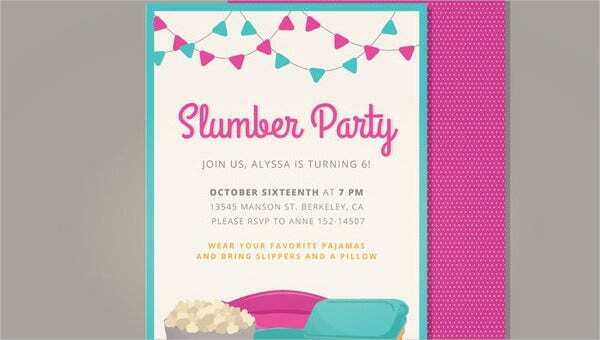 This customized glitter invitation template is of the dimension 5.2×7.2 inches (with bleed). It comes in Ai, PAD, JPG, and EPS formats and features 300 dpi. It costs $8. 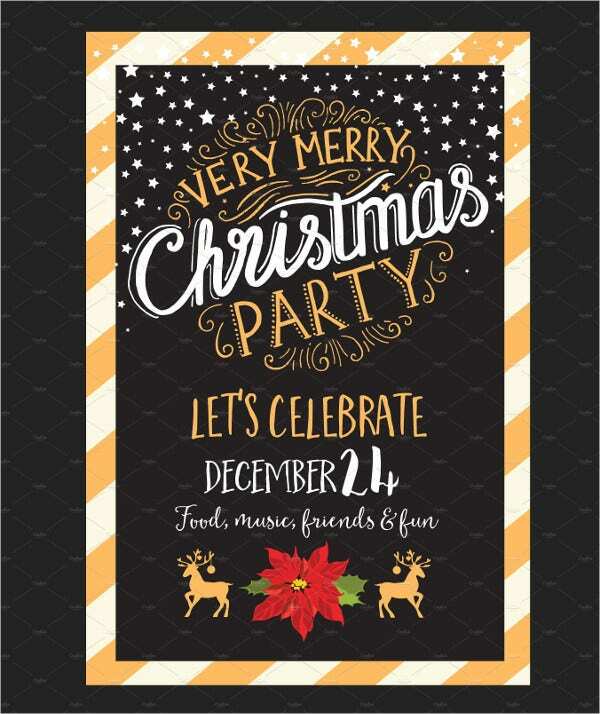 This Christmas or holiday Party Invitation is available in a print quality digital file. It features a red painted door with a Christmas wreath. It costs $18. 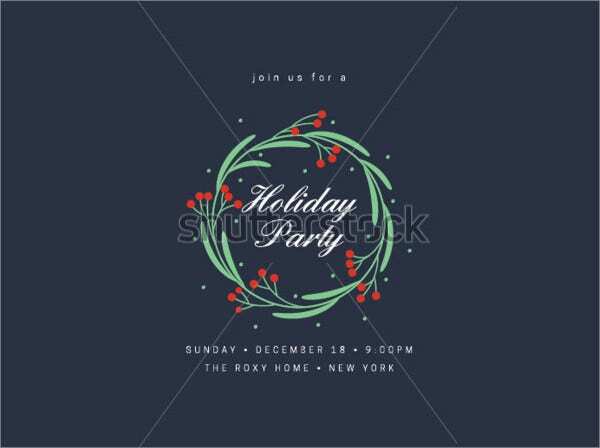 This holiday party invitation with a wreath is available for free download. 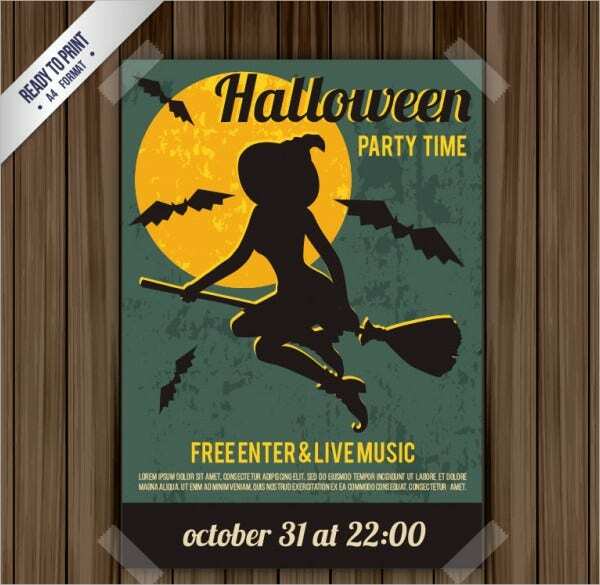 The high-resolution version of this vector illustration can be downloaded in different sizes to suit your project requirements. 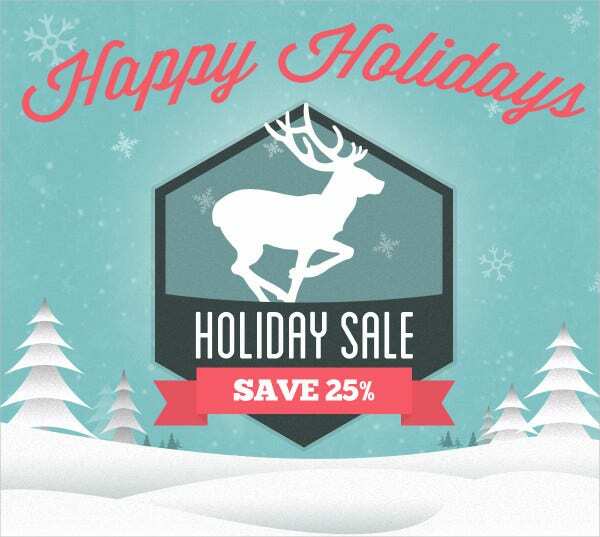 This vector illustration costs $5. For commercial usage, an extended license is needed. It features a black background and a border with orange and white stripes. 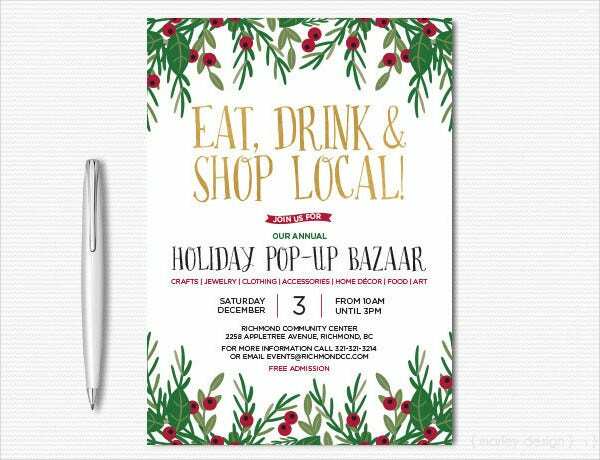 This invitation of 5″x 7″ or 4″x 6″ dimensions costs $16. It has flowers and leaves bordering the top and bottom of its fresh-looking white background. A beautiful envelope is also provided with it. 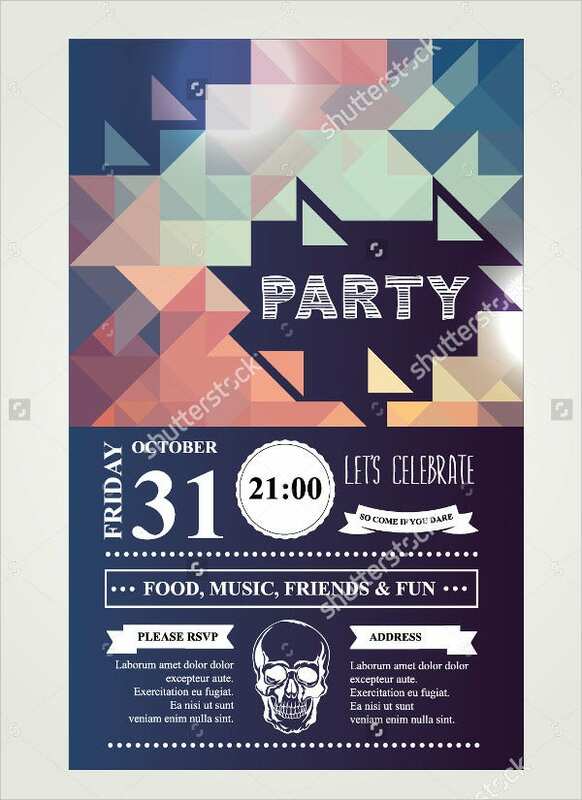 This party invitation vector template is freely downloadable. It has a rectangular bright colored layout with differently colored sections. 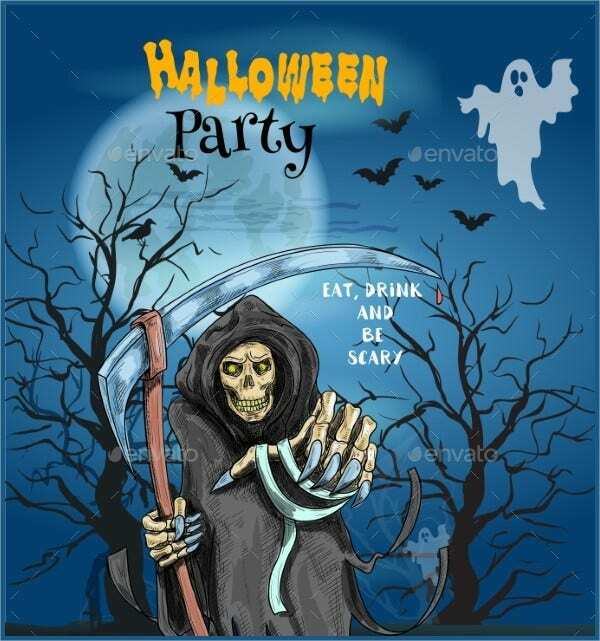 It bears grunge decorations and the wording “Let’s Party”. 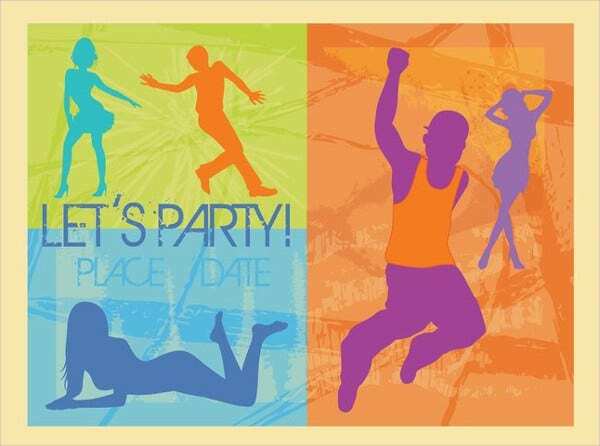 This disco party vector illustration has colorful geometric blast decorations. It is available for free download. Its high-resolution image is available in different sizes to suit your project requirements. 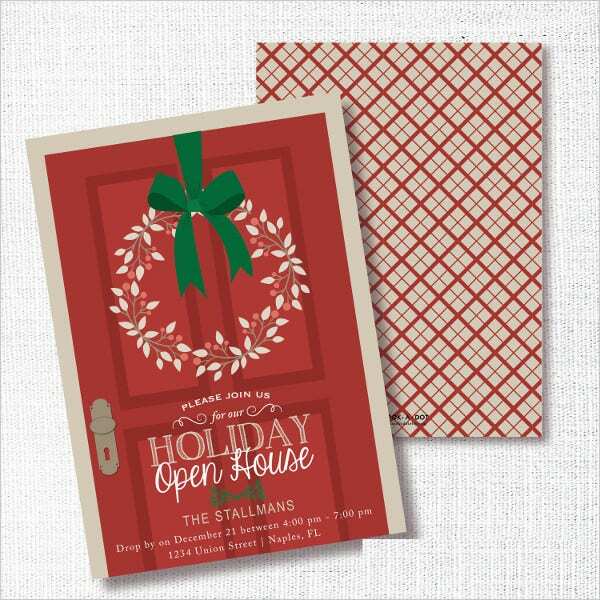 This super-cute holiday party invitation with digital metallic elements is of the dimension 5×7” and costs $21 per piece. It pairs beautifully with the lined envelope and gold foil provided. 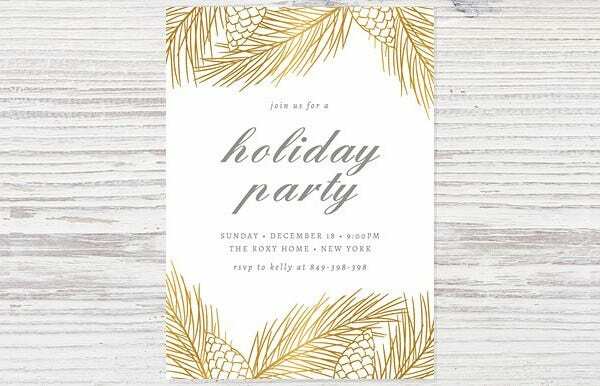 This printable company holiday party invitation in gold, white, and gray is beautiful. It can be purchased at a price of $13 per piece. 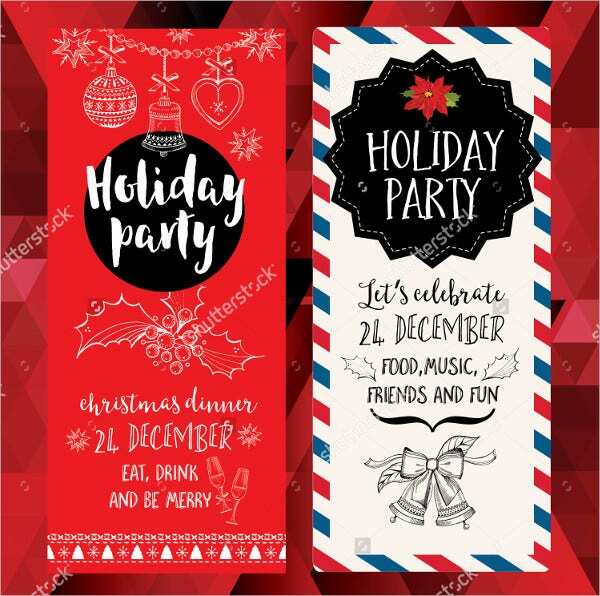 You can also order the invitation design alone. 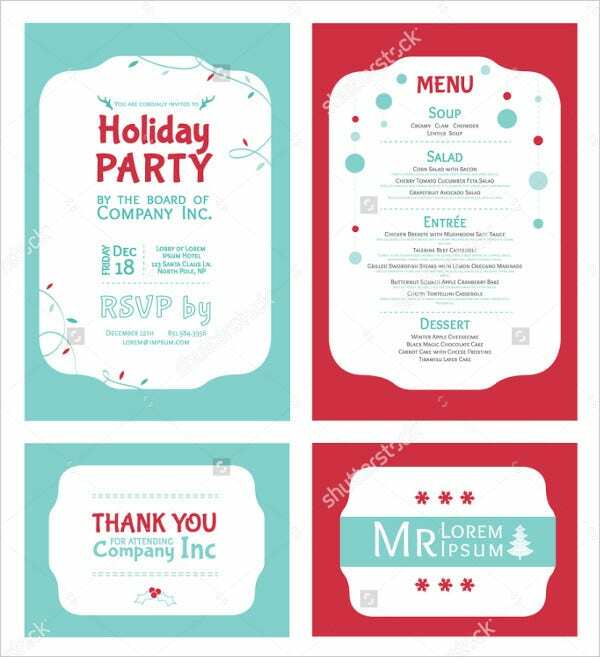 This free vector illustration has a festive decoration in red and light blue; it suits tea party invitations. Its high-resolution image is available in different sizes to suit your project requirements. 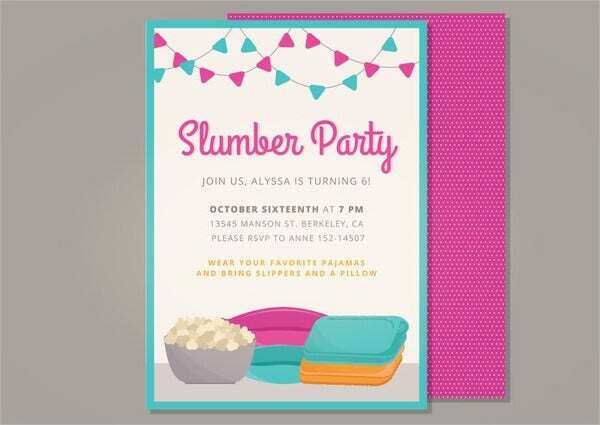 This slumber party invitation vector has blue and pink decorations on a white background. It has a blue border and is available for free download. It is available in EPS and Al formats. This freely downloadable vector illustration features a holiday background with toys, hand-drawn X-mas graphic, and design banner. Its high-resolution image is available in different sizes to suit your project requirements. 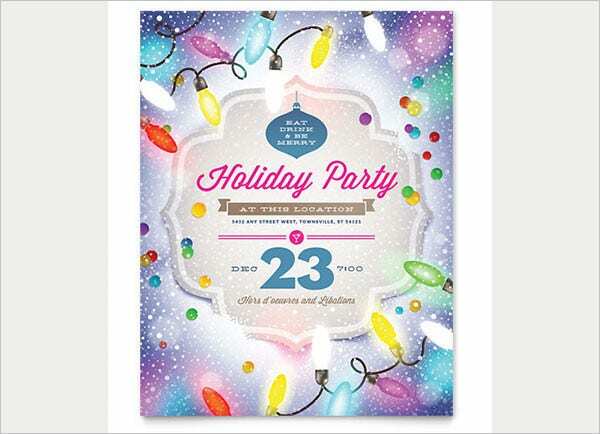 This vector illustration of 5×7 inches dimension features snowflakes; it is of 300 dpi resolutions. It is in JPEG format and costs $10. Its 4×8” version is available for free. 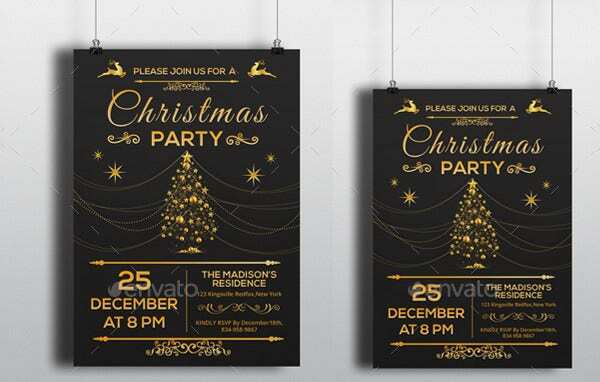 Holiday party invitations come as flyers, cards, Chalkboard Invitations, posters, etc. Make use of our collection to set the mood for the party this festive season, and to let your friends and folks know that you want to see them there. Wish you an enjoyable time together at your party!